This HTML version of Tristram Shandy has been developed from several SGML files of the text available through the Oxford Text Archive. Prepared by Masaru Uchida (Assistant Professor, Faculty of Regional Studies, Gifu University, Japan). An online bibliography on Tristram Shandy. The biblography covers only articles published since1978 with a few exceptions of a few books and articles published before 1977. The Unwound Clock by Derek Merk. A thesis on Laurence Sterne's Tristram Shandy. "In this thesis I attempt to present a comprehensive analysis of Tristram's role as storyteller in Laurence Sterne's The Life and Opinions of Tristram Shandy, Gentleman using as a basis Tristram's movement between two mutually exclusive worlds: one of definition and another of interaction. (...)Anyway, if you're a Sterne lover or something and actually want to see my whole thesis (it is good, despite the jargon - I got an A on it - and I'm rather proud of the whole thing) I've built a PDF file of The Unwound Clock in its entirety. (...)If you want to chat about Sterne, drop me some e-mail. A couple people write me every year and it's rather satisfying knowing that there is an interest out there." A website with several links to the most important sites from the Net covering varied aspects of the work and life of Laurence Sterne. This site is maintained by Masaru Uchida. 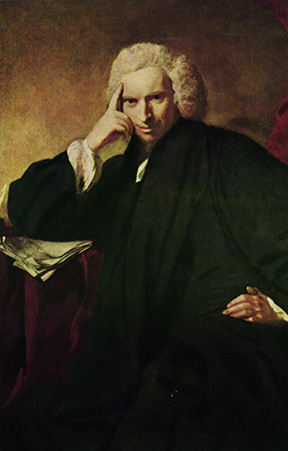 "THE SHANDEAN has been established as an international scholarly journal for the critical and historical investigation of all aspects of the work and life of LAURENCE STERNE. The emphasis is on FACTS rather than OPINIONS, much of its contents being based on the great collection of unpublished material at SHANDY HALL."